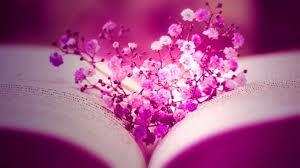 We're a family of readers.Meeting the most interesting people.Reading Romance, Contemp, Chick Lit & Erotica. Some can sizzle your blood. My hubby will be writing on Hist., Sports, & Mystery. My daughter on YA.What type of genres do you enjoy?Some good author interviews coming. We're on Twitter:@1RadReader59 Instagram:@1radreader and Facebook: https://www.facebook.com/booksreviewedauthorstoo/. Enjoy reading, we will. On the first day of Christmas, Dina Gregory, former wild child and prodigal daughter returns home to New York on a mission. Finding her young son’s father and making him take responsibility for the child he created is the only thing on her wish list. But instead of finding the man she was looking for she runs into his stuffy older brother Ben. Ben has never liked Dina, but being trapped together on the holidays allows him to see a different side of her. She brings back his Christmas spirit and in the process reminds him what it feels like to love. 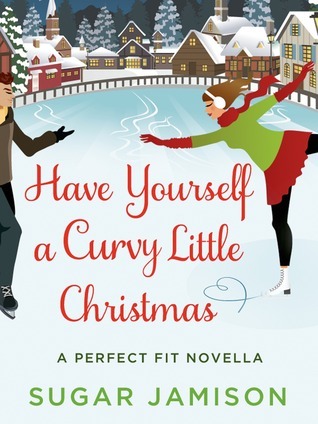 Dina’s past makes her wary of falling in love, but Ben is determined to make her stay as his permanent Christmas gift. Of course he did nothing to help. So, after Dash was born she leaves California and gets a bus for New York to go confront him. She lived with Virgil for 8 months and feels she doesn’t know him at all. The only thing she knows for sure is that he is rich, has a brother (Ben) who is spooky, and lives in New York in a mansion. That where she takes Dash two weeks before Christmas. She ask to see Virgil but the staff ask her to wait. When they come back they ask her to come to the third floor. When she gets there it is not Virgil but Ben. She is confused and wants to know what is going on but Ben can’t take his eyes off of Dash. She gets upset and says she is there for Virgil and demands to see him. Ben says no and she says fine she will see him in court and he says that will not happen for he is dead. When Dina almost passes out he rushes to catch her and the baby in his arms. Ben is amazed how good they each feel. The baby feels amazing for he and his late wife had tried so hard and could not have children and her he is holding his brothers. She has not told him for sure yet but he know, for the baby looks like him, not Virgil, but like Ben. As for Dina, she has finally put on some weight with this pregnancy which is a good thing it looks good on her. She was much too thin before. But more than that it has been over 8 years now since his wife has died and to feel a woman in his arms feels…well it just feels. He panics when he thinks about them leaving so he makes her an offer to marry her so that he can be Dash’s father especially since he looks so much like Dash. That way he can help provide for Dash but more than anything his can be there to help raise Dash and be a hands on father. Dina is not too sure about this since they really don’t like each other. As time goes on they start to have feelings for one another watch the trust, love and friendship form for these two. What do you think Dina’s decision will be? I loved the banter that these to have in this story she is just so brash and he so straight laced but they find a middle for Dash. 1 Rad-Reader Author Interview Weekly Schedule: Here Friday 7 pm PST. Still figuring this out guys thanks for sticking it out with us. I am lucky to be able to read interesting books,write reviews,post on Net Galley, Amazon, Facebook & Goodreads. In my spare time I will now be blogging as well as being a Mom,Wife &running a small busniss. My daughter who is an advanced 12 yr. old will review YA books. My husband will review History, Sports & Mystery. Each member starts with this badge, to acknowledge your contributions in helping books succeed. Members who are auto-approved by four or more publishers receive this badge. 2016 NetGalley Challenge: I help books succeed!